MOGUAI is no stranger to collaborations, having worked with the likes of Dimitri Vegas & Like Mike, Fatboy Slim and Sebastian Ingrosso, and now the German native teams up with Luciana, fellow dance music innovator best known for the platinum-selling ‘Yeah Yeah‘ with Bodyrox and has also featured on previous team-ups alongside heavy hitters such as Hardwell, KSHMR and Timmy Trumpet. Now the pair join forces for the club-ready ‘Faith,’ out now via Oliver Helden‘s Heldeep imprint. 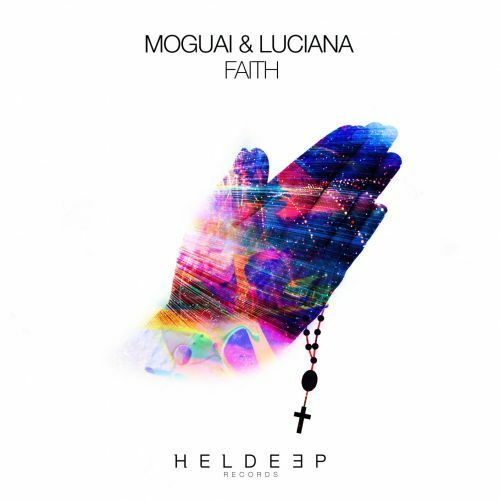 ‘Faith,’ the 3rd release from MOGUAI on the label, follows on from previous offerings such as his track with Zonderling ‘Lee,’ released last year to great acclaim, picking up accolades such as Dance Smash on Radio 538 and reached #1 in the German Dance chart, is as accomplished as you would expect from the coming of two artists so well versed in making dancefloor primed anthems. Based on an infectious tech groove, the record evolves with Luciana‘s cool vocals and subtle chord stabs, building momentum towards a breakdown that brings both the vocals and synth melody to a climax. Both artists have collectively received the support of some of the biggest names in the industry, including label boss Oliver Heldens, Martin Garrix, W&W, Diplo and Pete Tong, and ‘Faith‘ is set to further increase the already stellar names of both acts. Grab your copy of ‘Faith,’ out now via Heldeep.